Madrid Xanadu is the largest entertainment and retail destination in Europe and even includes Europe's largest indoor snow sports facility. The design objective was to create a world-class shopping and entertainment destination where architecture and design combine to engage imagination and create an exceptional experience. The Retail Area is designed as an orchestrated composition of international art and fashion forms, textures, ornamentation, patterns, colors, lighting, and movement inspired by the regional Spanish imagery and culture. Artisans and craftspeople throughout Europe contributed to the project. The interior architecture and design reflect the gradual change in mood, atmosphere, and activity level as shoppers progress through the Retail Area and transition into the Leisure Area, where the snow park and entertainment area are located. 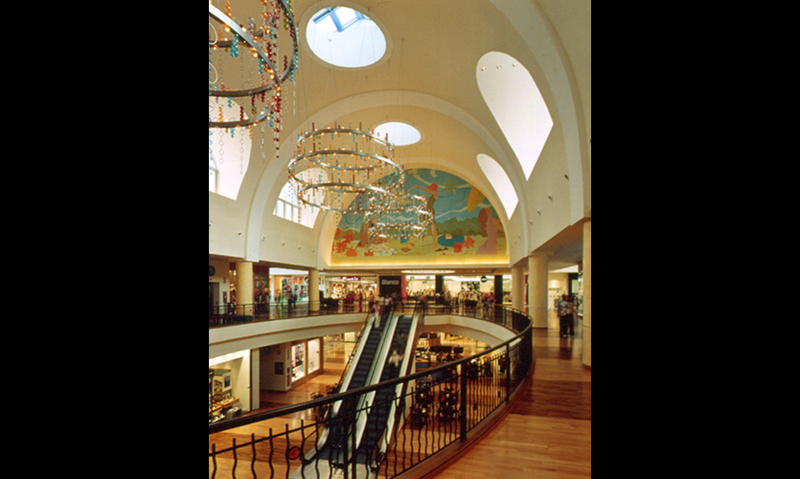 In the Fashion Concourse, the interior architecture communicates calmness and sophistication. Progressing to the Transition Concourse, the interior architecture gradually becomes more active and bold. 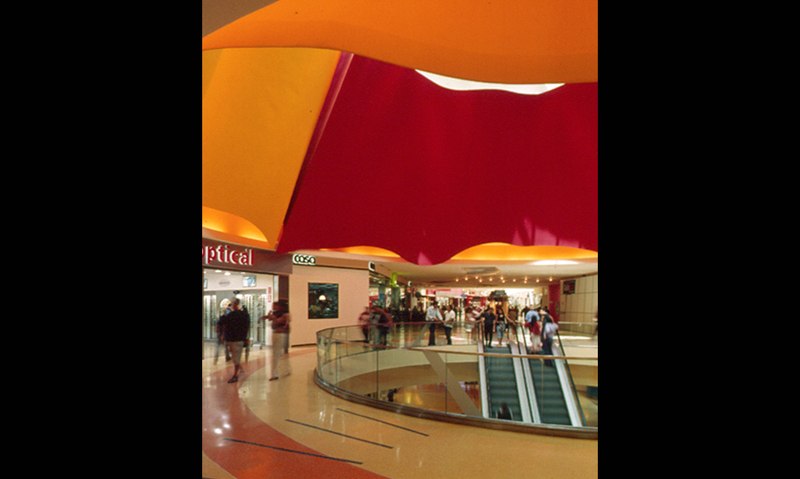 The flooring also communicates this dynamic transition and continues to build to a culmination at the Transition Node, with an interpretation of a bullfight where a matador's cape floats within a cone-shaped skylight. 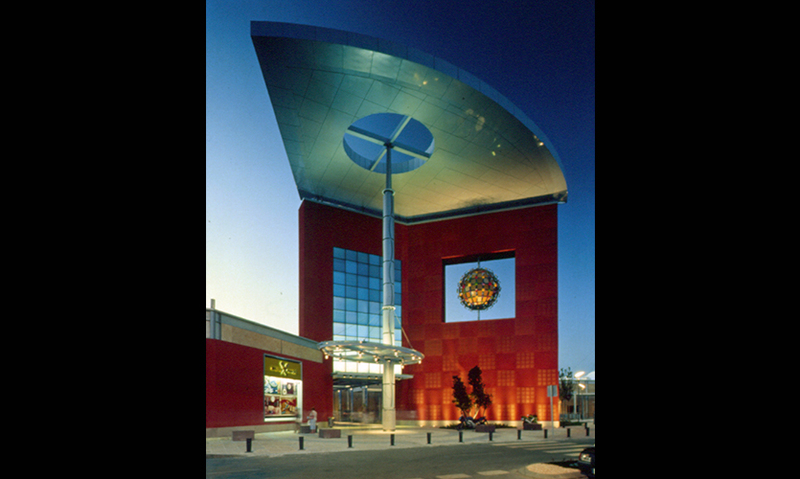 Like giant beacons, four distinct Objects of Desire designate the four monumental exterior entries into the Retail Center. Each Object is an embellished interpretation of a piece of jewelry – gold, emerald, pearl, and amethyst – "displayed" in a store window. A colored glass curtain wall that is an abstraction of a sequined dress further distinguishes each entry. "A beautiful object of desire leads you into this shopping venue. The delicate, jewel-like shades and chandeliers act as visual temptations and serve to tantalize the shopper to move through the space. The effect of the lighting on the arched vaults lends a melting effect that softens what could very easily be a harsh architectural edge to the ceiling. Shoppers are teased with romantic and sensual colors and a bold, masculine matador's cape that glows. The interior of the center effectively transitions through numerous design applications while merging into an overall lusciousness."